It is very unusual, but we have two donors to choose from for your new heart." The patient is pleased. He asks, "What were their jobs?" "One was a teacher and the other was an accountant." 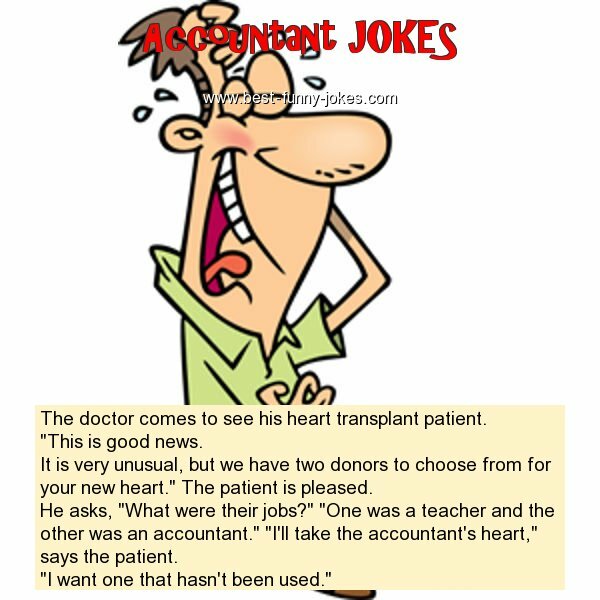 "I'll take the accountant's heart," says the patient. "I want one that hasn't been used."